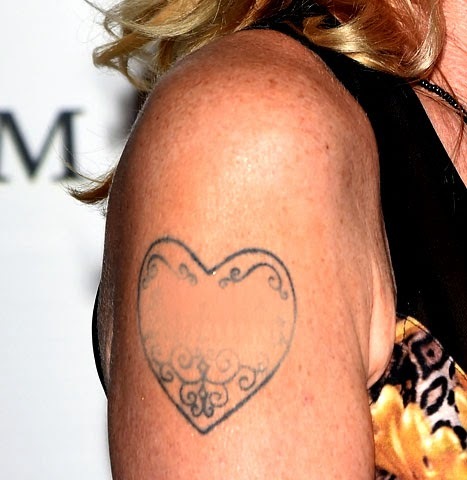 Taormina Film Festival on Tuesday, June 17—covering up her husband Antonio Banderas' name on her famous heart tattoo. A week and a half after announcing she and husband Banderas were separating, the 56- year-old Oscar nominee attended the film festival awards ceremony with buddy Eva Longoria. And while the actress looked stunning in a skimpy, leopard print dress, it was her altered tattoo that caught most eyes as she walked the red carpet. 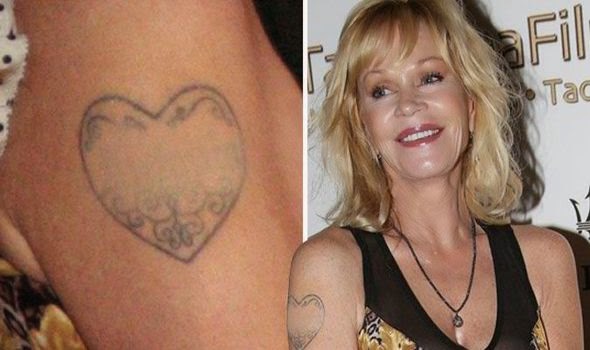 The last time Griffith’s tattoo had been seen intact was on Thursday, June 5, when she attended Jane Fonda's American Film Institute Lifetime Achievement Award dinner in L.A. It was the day before Griffith and Banderas, 53, made their official statement to Us Weekly that they were planning to end their relationship.